Just a quick note to my Foodie followers and fans of Gourmet Food Trucks. 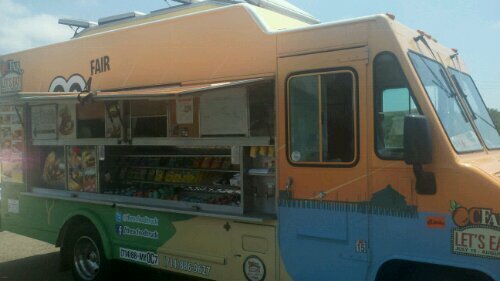 I have expanded my Food Truck Directory to include Orange County based Gourmet Food Trucks and Los Angeles carpet bagging Gourmet Food Trucks that pouch the O.C. food truck lots. Don’t worry L.A. Truckers we still love you! 2011 was the year that food trucks exploded on the scene across the country and mainstreaming a niche foodie cult. 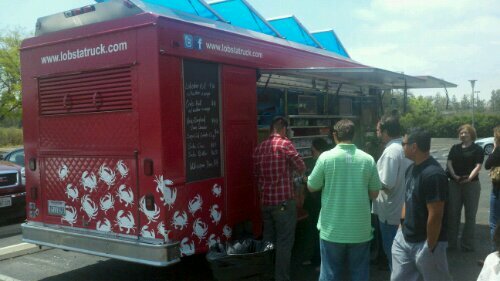 Orange County became ground zero for the proliferation new food trucks (good and bad), food truck lot turf wars, high-end chefs going mobile and the movement even produced a couple of celebrities as a result of the Great Food Truck Race television show. By the end of 2011, there were some casualties as some trucks failed, while other’s flourished. This top 10 list is based on my personal observations and multiple visits to each truck I listed. Let me know if you agree or disagree with my list. 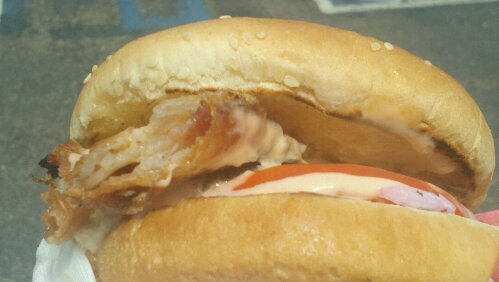 Thanks to all the food truck owners for making my lunch hour pleasant and for being the genesis of Tom’s Foodie Blog. 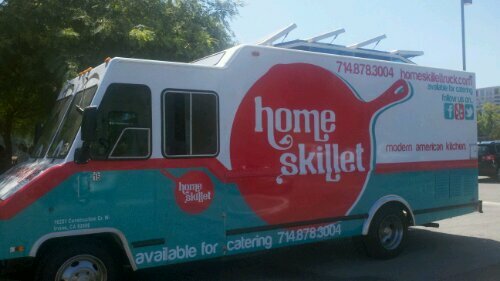 #1- Chef Joe Youkhan’s Tasting Spoon – This truck features rustic Southern Italian Cuisine, with a high-end flare. The truck is owned and operated by a former Ritz-Carlton Chef, Joe Youkhan. He knows how to perfectly integrate high-end ingredients into food truck friendly fare. Chef Joe Youkhan’s Tasting Spoon epitomizes the true essence of the gourmet food truck movement and does it with a foodie friendly flare. 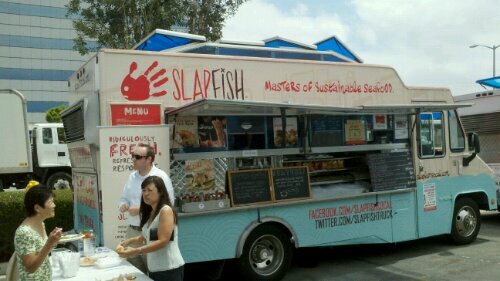 #2 – SlapFish Truck – Truck specializing in sustainable seafood dishes. Not only do Chef Andrew Gruel and Jethro Naude prepare fish dishes to perfection and they bring a creative twist to their dishes. Since their fish comes from sustainable fisheries and are not on endangered or watch lists, you can feel good about eating these dishes. 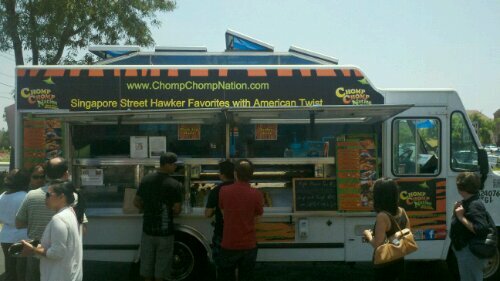 #3 – Chomp Chomp Nation – This truck features Singapore Street Hawker style dishes, customized to the American Palate. This truck uses O.G. Singapore recipes from an O.G. Singapore Native Shaun Ng, and operates along side with his business partner Robert Zuetell. Some of this dishes use up to 26 ingredients and are full of complex flavors. 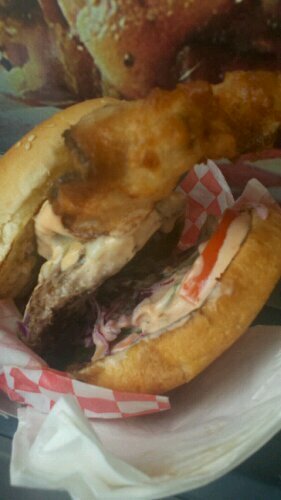 The truck’s dishes are truly amazing and the food is always fresh. 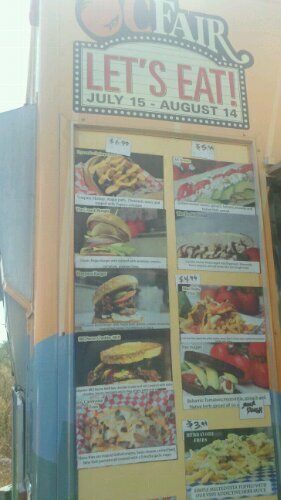 This truck did a good job at picking a niche theme and basing their entire menu around it. #4 – SeaBirds – This is a Vegan and all girl operated Food Truck. Seabirds offers exclusively plant-based, raw and vegan dishes. To anyone who doesn’t think they will like this type of food, guess again! I avoided this truck for almost 3 months until I tried it for the first time and then I was hooked! The food is amazingly fresh, vibrant and you feel good about eating these dishes. 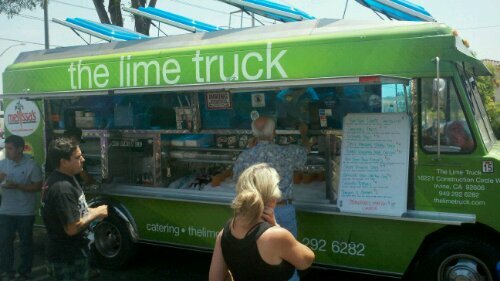 #5 The Lime Truck – This truck specialized with fresh/local ingredients and high-end menu. 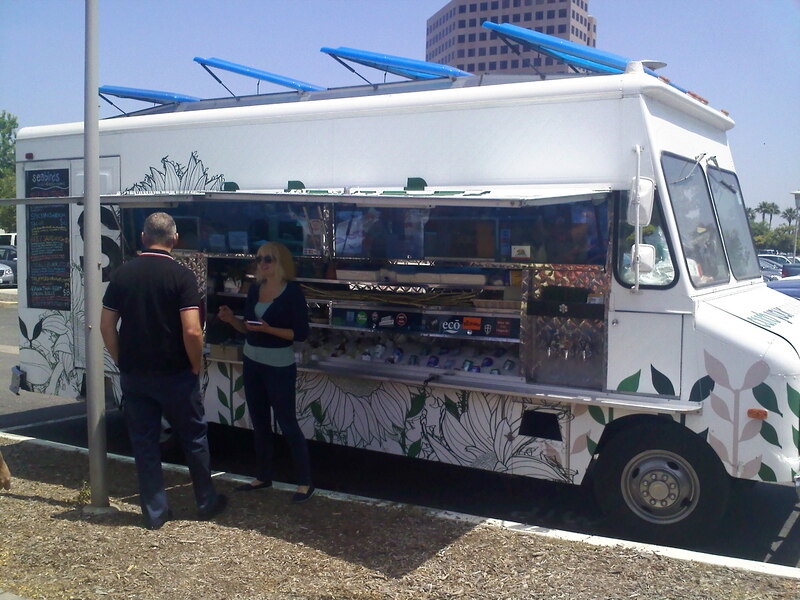 This truck won the Great Food Truck Race on the Food Network and have expanded operations to three trucks. Although the original dream team is no longer together, the owner Daniele Shemtob still manages to keep the fresh food rolling out to the same high standards. I am hoping 2012 is the year that The Lime Truck starts resumes offering new and innovative items each week. 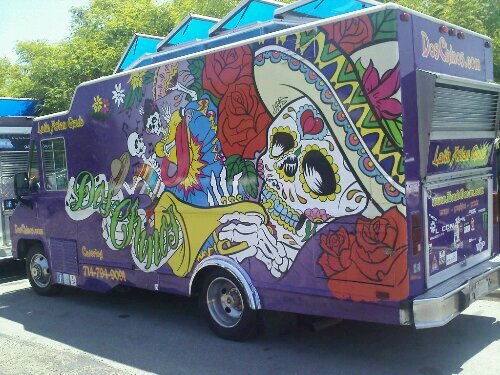 #6 – Dos Chinos – An amazing fusion concept truck that blends Vietnamese with Mexican Cuisine with a whole lota love. The owner, Hop Phan, grew up in Garden Grove and regularly would trade and mix and match Vietnamese Food with Mexican food to create innovative fusion dishes. 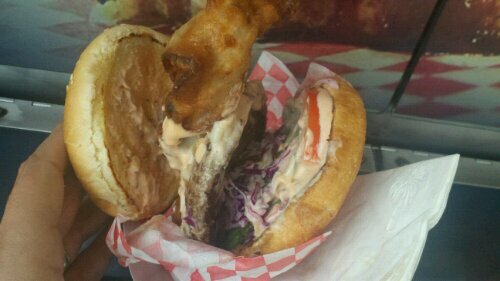 When Hop grew up he opened up a food truck that capitalized on this fusion food concept. 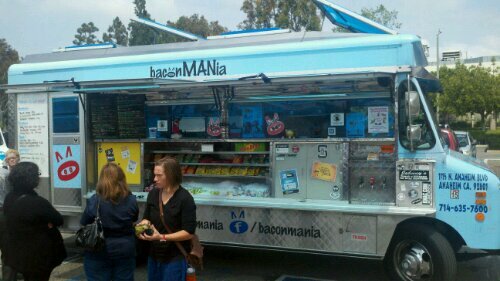 #9 – Bacon Mania – This truck’s bacon based menu makes me smile because Bacon = Happiness. Baconmanias dishes all involve some aspect of bacon or pork. Extremely delicious food. #10 (tie) – Chunk N Chip : A desert truck that combines homemade ice cream with fresh-baked cookies to create custom ice cream sandwiches. Although this truck has a standard menu, you are encouraged to mix and match Ice Cream and cookies to make it your own. Tom\'s cameo in Man versus food! 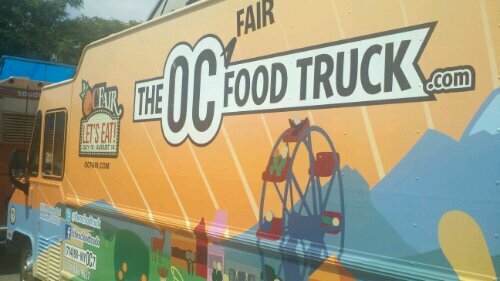 I recently had the opportunity to interview the founder and organizer of the “OC Foodie Fest”, James Foxall . Last year’s event received some mixed reviews due to a number of failings in the organization of the event. 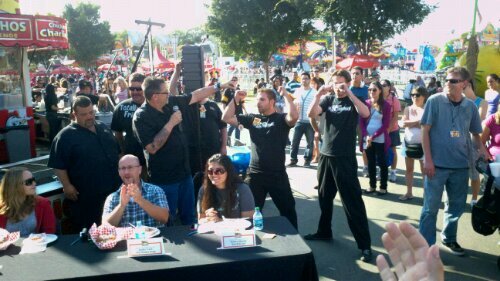 Although this year, the “OC Foodie Fest” is back like a fighter who has learned from the school of hard knocks. James was passionate in telling me that he has listened to all the feedback and took it to heart. 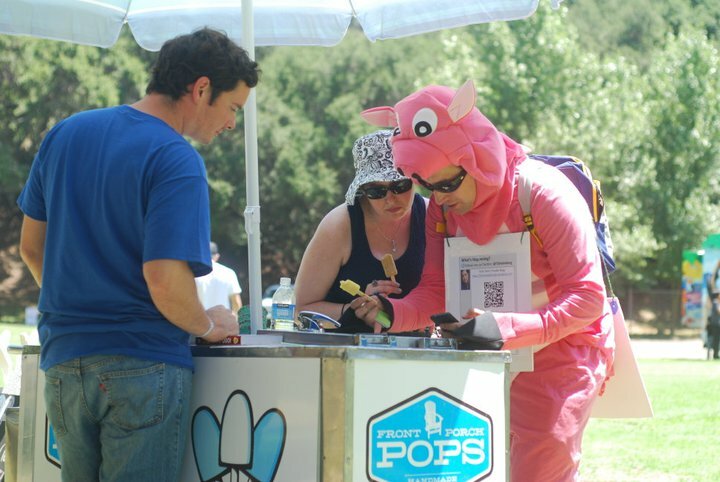 He expressed a desire to improve the attendees experiences, “our goal was to keep the food truck lines under 20 minutes.” So how do the organizers plan to accomplish this feat? Doubling the amount of food vendors, yet retaining the same number of attendees. There will be over 75+ food trucks, 25+ restaurants and food vendors. Speaking of the Beer Gardens, James indicated that they are really amping up the beer garden by expanding it to the size of half a football field. This year’s beer garden will be sponsored and operated by Aramark and Budweiser, bringing a level of experience and professionalism to it’s operation. The Beer Garden will also feature food service from , Top Class Pizza, SuperMex, Aramark, and even some of the food trucks like Bacon Mania and Tornado Potato. James indicated that he wants to WOW the guests with the beer garden and make it a “festival within a festival.” There will even be a DJ in the Beer Garden. Woot Woot! Fist Pump Jersey Shore Style! Speaking of keeping cool and hydrated, the biggest complaints I heard last year was the lack of cool shade, seating and water. This year the follow measures have been added to ensure you are comfortable. Hosting an outing for 500 marines to a baseball game. On site parking is $8 (cheaper than last year) and $5 for off site parking. The Contest Winner Is……..WINNER WINNER CHICKEN DINNER!!! I randomly selected the winner, literally by printing out the page and cutting out the names and picking the winner. 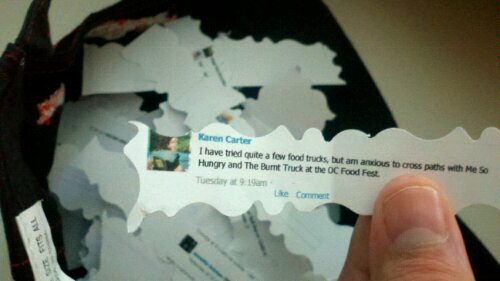 The Winner of the Free Early Entry Tickets to the OC Foodie Fest is Karen Carter! Congratulations! Woot Woot! You have been notified by Facebook Messenger with instructions to claim your free tickets.